Standish Towing & Recovery can provide 24-hour solutions to your traffic problem in Bow Valley. We have 18 fully equipped traffic control units manned with certified flag personnel. Our fleet can shut down a highway in minutes and divert traffic effectively. 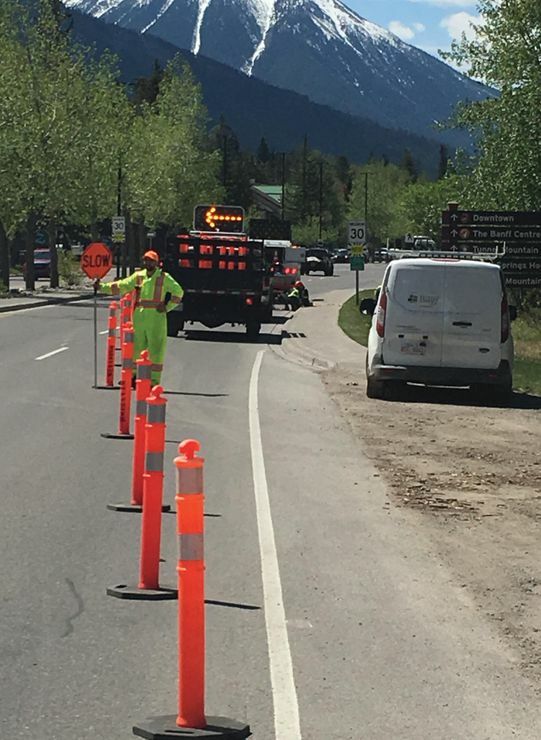 We offer electronic arrow boards and proper road signage for use in Banff and surrounding communities. Our traffic crew is on 24-hour standby and ready to respond to any situation immediately.  We also provide rental of traffic control devices and equipment on a day or monthly basis. This includes signs, traffic cones, arrow boards, message boards, and personnel. Ensure the safety of your crews. Maintain a safe and well-organized job site. Call in the team at Standish Towing & Recovery before your next big job.